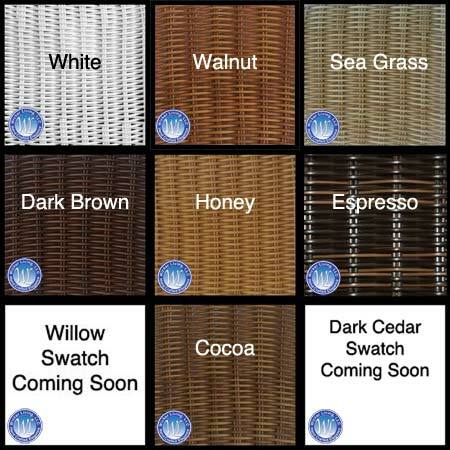 Mackinac open weave single glider for your porch or patio. Air flows through the open we've on hot summer days to help keep moderate your body temperature. Smooth gliding is satisfying and almost addicting. Once you use one of our gliders, there no going back to stationary chairs. Aluminum frames and quality resin wicker combine to make this glider and outdoor marvel.